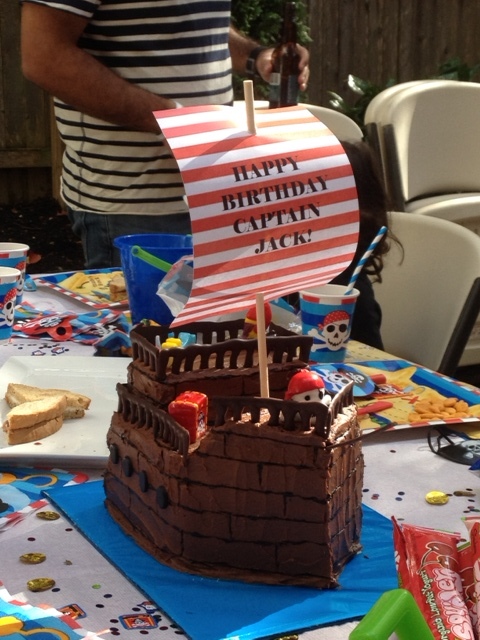 I created this cake for my son’s pirate themed birthday party. In this case, I felt that a pirate ship did not need the polished look of fondant, so I used chocolate buttercream frosting to give it the “rougher” look of a real ship. I also used tempered chocolate for the ship’s rails to ensure everything on the cake (with the exception of the candles and sail) was edible. I found pirate candles that I used as decorative accessories to complete the look.